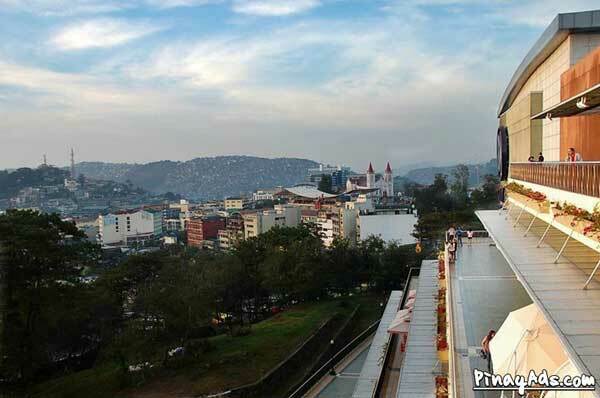 One of my favorite places here in the Philippines is Baguio. Actually, since I was a child, I always want to go to the Summer Capital of the country because of its weather and the fresh air that the pine trees bring. Sadly, I noticed lately that the place is becoming overcrowded and polluted, as well. This is the reason why when I heard about SM Care’s “Green Road to 50,000” project, I was so eager to participate because I know how the big the role of the trees is when it comes to preserving our “Mother Earth”. 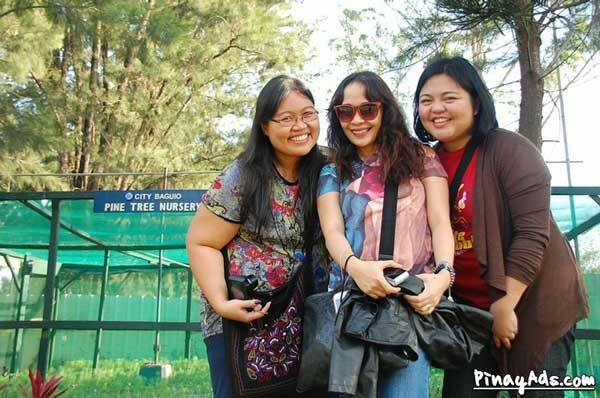 As a result, I went to Baguio to be part of the tree planting activities hosted by SM City Baguio. 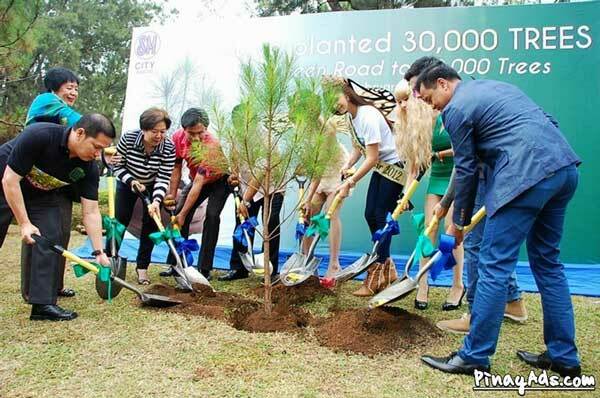 SM City Baguio marked its 30,000th tree that has ready been planted in accordance with its “Green Road to 50,000” project of SM Cares as part of their commitment to plant 50,000 trees from Busol Watershed, Buyog Watershed, Tuba Benguet, Burnham Park up to the SM City Baguio mall premises. 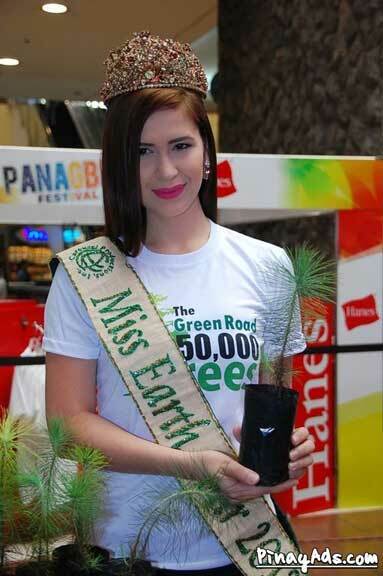 The SM City Baguio Ceremonial Planting of the 30,000th trees was held last February 20, 2013. The program started with a simple ceremony and graced by several celebrities including Ms. Earth Air Stephany Stefanowitz, singer Sam Concepcion and sisters Alodia and Ashley Gosiengfiao. Also present were the executives of SM Supermalls and Department of Environment and Natural Resources (DENR) representatives. 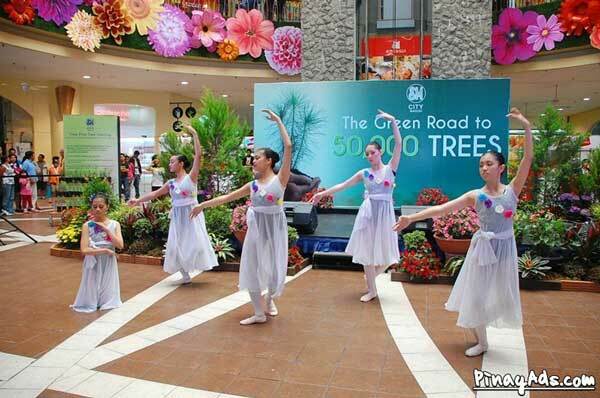 Moreover, a photo exhibit at the mall grounds was also launched on the same date (and will run until summer of this year), where the entries depicted the activities done for the Green Road to 50,000 initiative, specifically the recent activity that reached the 30,000th tree being planted. The Green Road to 50,000 initiative started last January 2012 and will run for approximately 3 years to comply with its commitment. SM Cares started this environmental project to abide with the directive of the DENR with regards to SM Baguio’s redevelopment plan. To show that SM truly cares for the environment, SM decided to plant more than what is required, hence the Green Road to 50,000. It should be noted that this campaign is not just in Baguio alone but it’s nationwide, especially to the communities or areas where SM operates. Actually, before the Green Road to 50,000 project started, SM Baguio has already been planting trees within the province of Baguio since 2005. 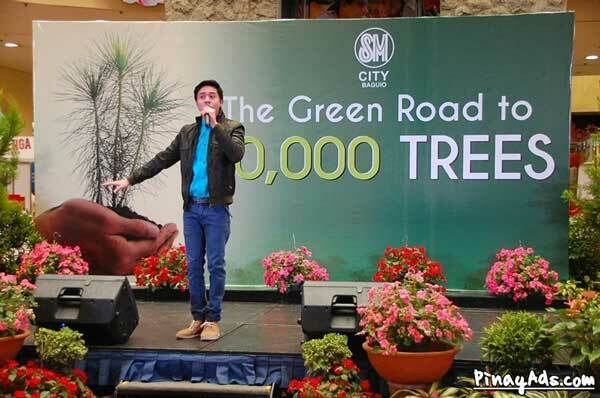 Aside from SM’s Green Road to 50,000 campaign, which is to plant 50,000 trees in a 3-year span, they also have free tree sapling; for every P1,500.00 worth of purchase from any SM City Baguio mall stores (excluding SM Supermarket), SM will be giving away free Pine Tree saplings! This promo runs from February 22-24, 2013! 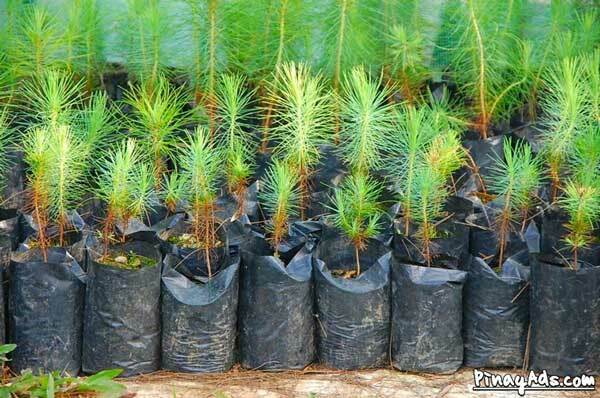 This is to urge other people to plant trees on their backyard, when they can’t join the tree planting activity of SM. 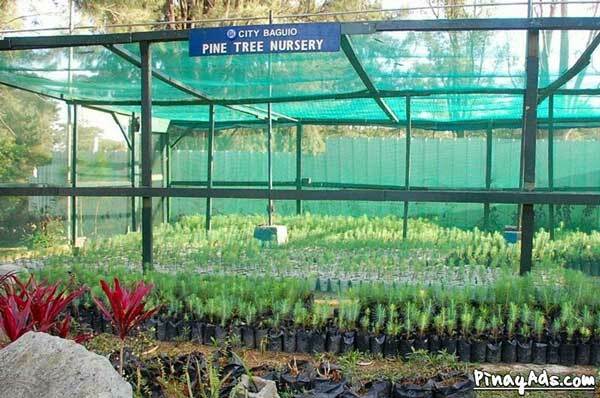 SM proves its commitment in planting more trees by building a greenhouse inside its compound which currently houses more than 3,500 pine tree saplings. When these sapling reach the ideal height of 1 foot, they are planted in SM’s adopted sites while some are donated to schools and institutions to help them build their own gardens and nurseries. 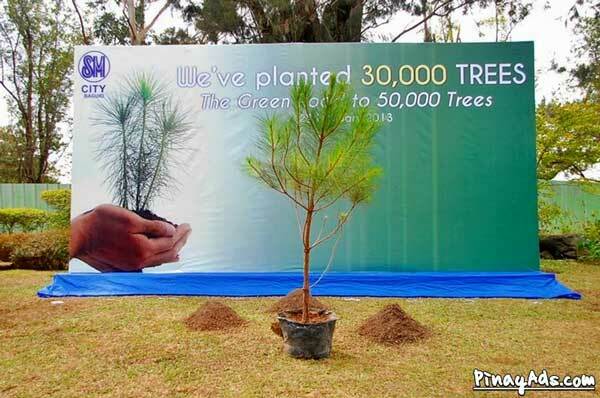 Furthermore, the Green Road to 50,000 initiative does not just end after planting the targeted 50,000 tree saplings, this also includes checking from time to time the condition of the planted seedlings on whether they are growing healthy as expected. Therefore, maintaining the welfare of the trees is one of the top priorities, too. 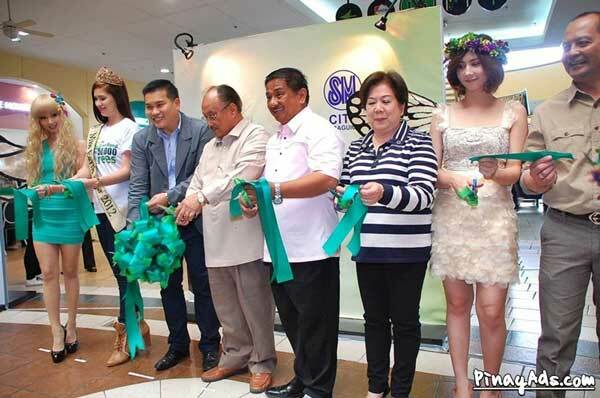 SM Cares shows its commitment to a greener place by spearheading other environment-friendly projects such as waste management and recycling initiatives to maintain cleanliness of the mall surroundings and the entire community, as well, where SM City Baguio operates. 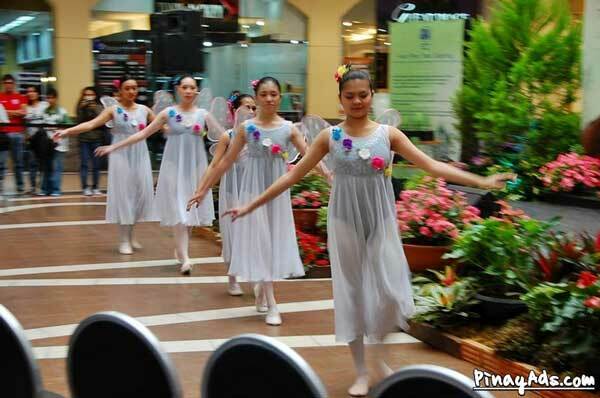 SM Cares is the flagship CSR program of SM Supermalls. That’s a nice project by SM! Go,go, go sm Baguio, you truly cares, ipakita niyo sa mga “environmentalist daw” that street protersters using their mouths can’t plant trees but YOU can…..